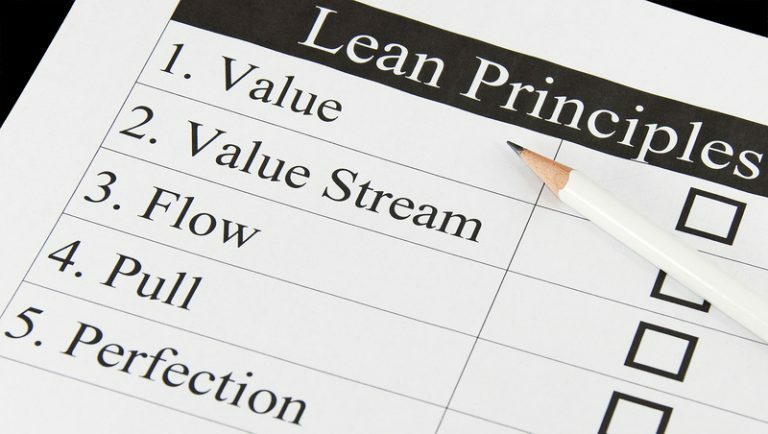 During the 1980’s the principles of lean thinking took hold in US manufacturing. The existing techniques of manufacturing were questioned as the Japanese manufacturing principles of ‘just in time’ were becoming a better paradigm. Subsequently, those techniques became better known as lean production. Soon, the principles of lean thinking spread across numerous industries and became accepted as reliable at improving results. When appropriately applied, lean thinking is a well-understood and well-tested platform upon which to grow. Womack and Jones defined the five principles of Lean manufacturing in their book The Machine That Changed the World. These five principles are considered a roadmap for improving workplace efficiency. Value – What the customer is willing to pay for. It is crucial to understand the actual or latent needs of the customer and how they want a product or service delivered. Value Stream Map – The goal is to use the customer’s value as a guide point, then map out all of the activities that contribute to the value. Any activities that do not contribute to value are waste and must be eliminated. Create Flow – To ensure that the flow remains fluid without interruptions or delay. Create a value chain with no interruption in the production process and a state where each activity is fully in step with every other. Establish Pull – Inventory is one of the biggest wastes in any production system. The goal of a pull-based system is to limit inventory and work in process (WIP) items while ensuring that the requisite materials and information are available for a smooth flow of work. Pursue Perfection – Each employee should strive towards perfection while delivering products based on customer needs and values. The company should be a learning organization and always find ways to get a little better each and every day. The principles encourage creating better flow in work processes and developing a culture of continuous improvement and customer satisfaction. The post Principles of Lean Thinking appeared first on Shmula.